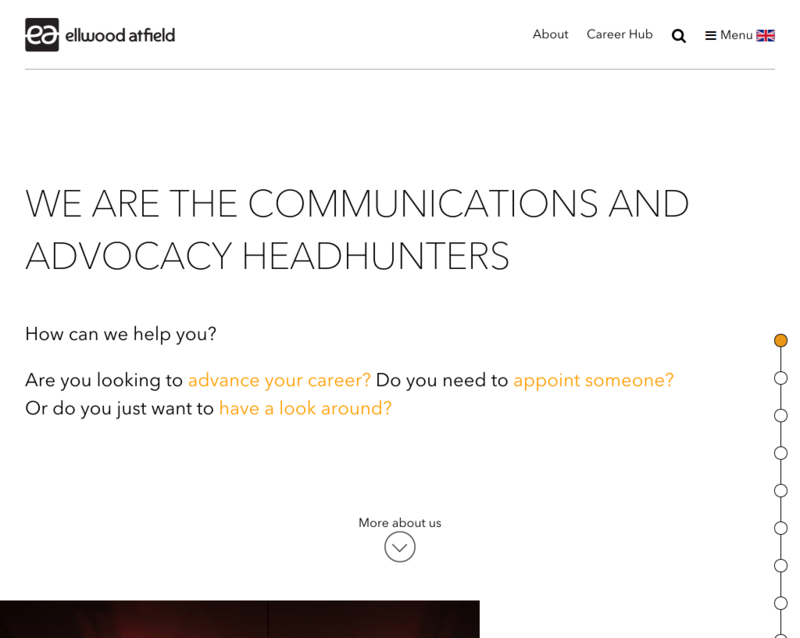 We are the largest specialist communications and advocacy headhunter in the UK and Brussels and recruit the people responsible for an organisation’s communications, reputation, change, and influence. Our team of specialist headhunters is deeply connected to and embedded within, the communications, policy, advocacy, public relations, and sustainability industries. It’s a relatively small market and we know it exceptionally well. A sincere preoccupation with the people we work with, as well as the challenges they face, have been key to our growth. We love what we do, and are good at it.